Here's a test I did with a prefab acrylic dome from a Christmas ornament. 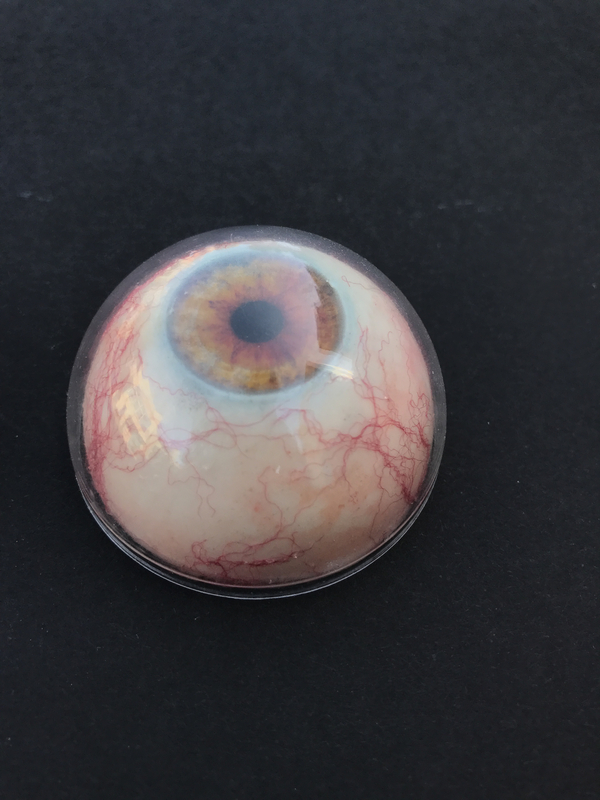 Made the white of the eye with 2 part resin. Colored the white of the eye with chalk pastels to break up the color. Yarn for the blood vessels and printed an iris on decal paper. Haven't watched the lesson but tried to figure it out for myself. Super excited to see what methods John uses!!!! Thanks for looking!!! Looks awesome! 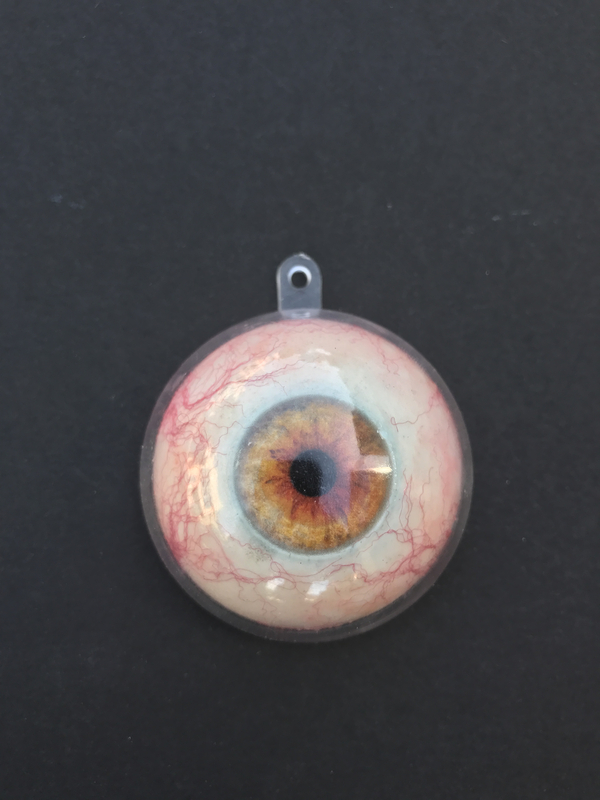 Great use of an off-the-shelf item to create the eye.